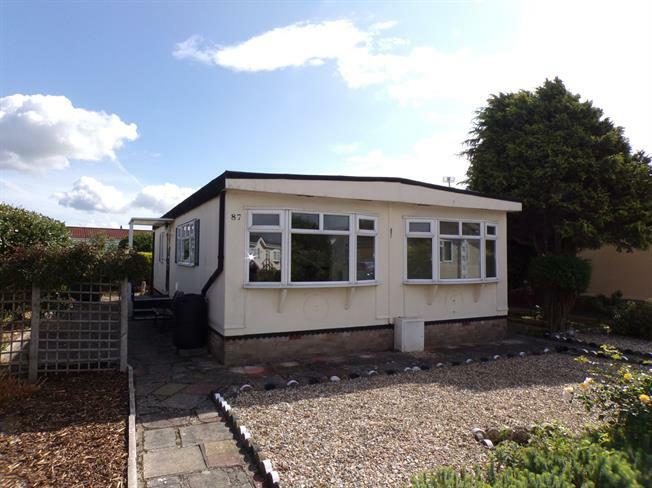 2 Bedroom Mobile Home For Sale in Weston-super-Mare for Asking Price £80,000. This twin unit park home is offered to the market with no onward chain. Although the property requires a certain degree of modernisation, it has been priced realistically to allow you to put your own stamp on it and there is scope for improvement with its light and airy rooms. Living accommodation comprises of a spacious 'l shaped' lounge/diner, kitchen, two bedrooms, bathroom and side porch. There is also a private low maintenance garden to the front, side and rear and the property is double glazed throughout.